This package contains a set of Metal Dies. The set includes a Tag Die (approximately 4.5" x 5"), a Beautiful Clock with Roman Numerals & Decorative Edges, three (3) Clock Hands and a Floral Embellishment (approximately .5"x1"). The Die appears to be a duplicate of Graphic45's Staple. 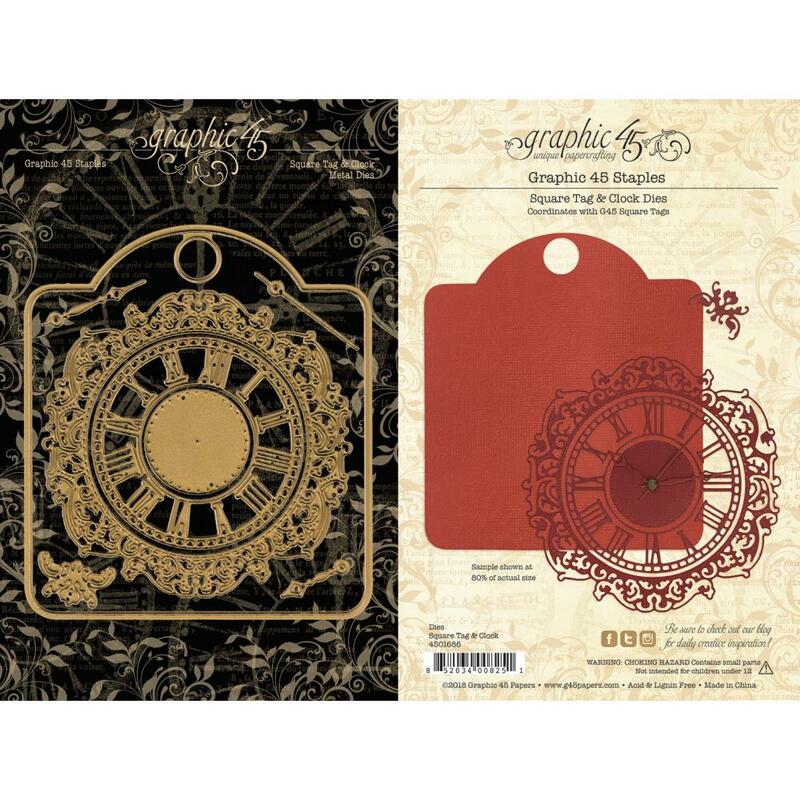 Look for other Decorative Metal Dies from Graphic 45.